Editor's note: The following is Part 2 of look at Breathless Riviera Cancun Resort & Spa. To read Part 1 on Living Big at Breathless, click here. The most memorable getaways offer just the right blend of relaxation and sophisticated entertainment. Breathless Riviera Cancun Resort & Spa is the embodiment of this all-important belief. The property, located on the Yucatan Peninsula, was designed to offer the perfect balance of total relaxation and invigorating experiences with the goal of helping adults make the most of a vacation. Relaxation here takes many forms including indulging spa treatments, luxurious and sophisticated accommodations, and endless opportunities to unwind while enjoying the resort’s pools or beach. The Spa by Pevonia offers the ultimate relaxation, featuring a variety of treatments designed to stimulate the senses and rejuvenate the body. Among the á la carte pampering options are such drool-worthy choices as deep tissue massage, reflexology, and post-sun exposure soothing facials. And did we mention the cold drinks and freshly squeezed juices from the Lush Spa Bar? Resort guests have three heated swimming pools to choose from and gourmet dining at ten trendy restaurants and nine bars and lounges. 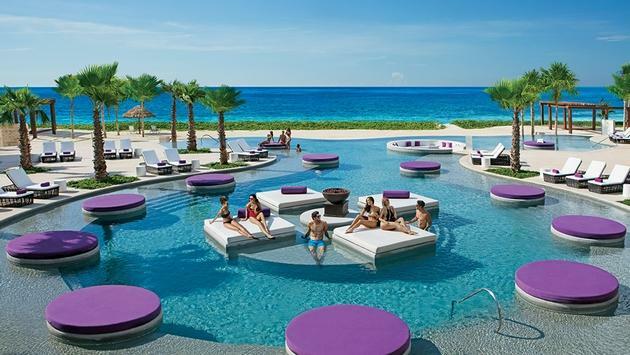 Equally important, the Cancun resort was built with three distinct zones, an innovative approach that allows guests to choose accommodations that are in the center of the action or in the resort’s xhale club area, which is all about recharging and tranquility. The xhale room category includes more spacious accommodations in a quieter part of the resort for those seeking an elevated level of luxury and relaxation. 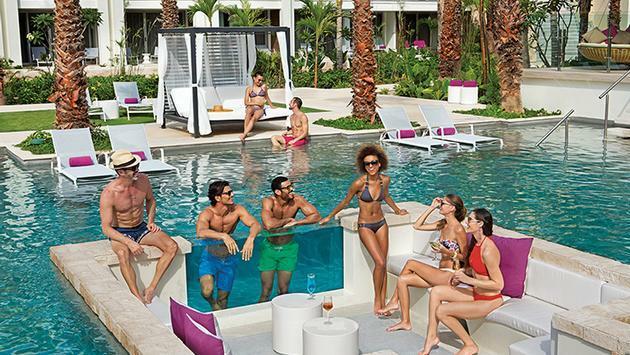 This area also includes a private xhale pool and whirlpool and exclusive access to Kibbeh restaurant, all of which is just the beginning of the VIP treatment guests will experience. Guests who book xhale rooms are given the red-carpet treatment beginning the moment they arrive on site. The extra level of pampering includes being greeted by a concierge with a cool towel upon arrival and then being escorted to the private xhale lounge for personalized check-in and a refreshing welcome cocktail. 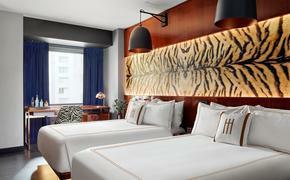 Xhale rooms meanwhile include upgraded bath amenities and a furnished balcony with a whirlpool. Hoping for a suite that provides swim out access from your terrace? That’s an option as well. Want to slow things down even further during your stay? Spend some time chilling in the exclusive xhale club lounge, which features a dedicated concierge who’s available to help make every detail of your stay just as you had imagined. The lounge serves continental breakfast each morning, and later, cocktails made with a large selection of premium alcohol as well as hors-d’oeuvres service and exquisite desserts all afternoon and night. No matter which zone of the resort you choose, the accommodations feature beautiful, trendy interiors and amenities such as a tablet that allows for easily accessing information about the resort and the daily activities; bathrooms with rain shower heads, and rooms with stunning ocean or tropical garden views. All of these details are really just the beginning. Breathless Riviera Cancun also features a 24-hour state-of-the-art fitness center where a variety of exercise classes including Yoga Sculpt and Power Vinyasa are offered. Looking for still more activity? Don’t miss the resort’s art nights and the indoor theater offering live shows. Just in case it isn’t already abundantly clear, there are few places more ideally suited to experience the perfect balance of living big and breathing deep.